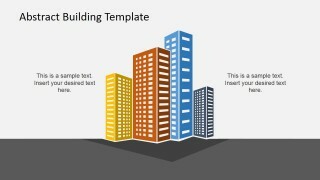 Use the Abstract Building PowerPoint Template to discuss Corporate Policies or the concept of Business to Business (B2B) in an engaging manner. 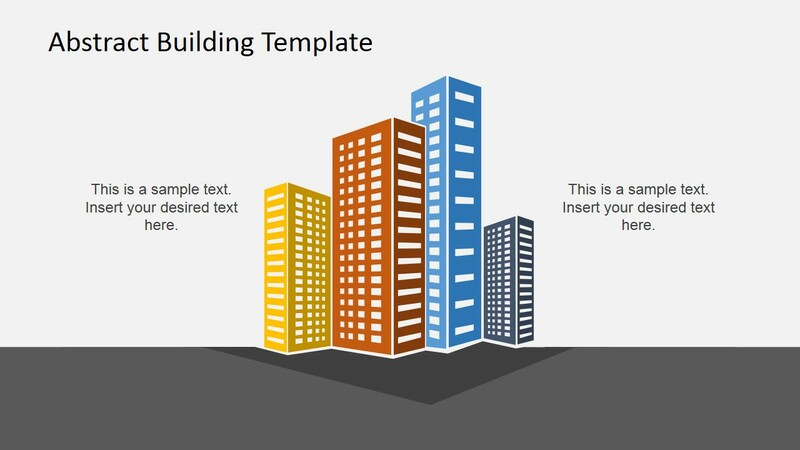 The template contains five slides with visually attractive PowerPoint clipart that will facilitate quick understanding and easy recall by the audience, even when complex ideas are involved. 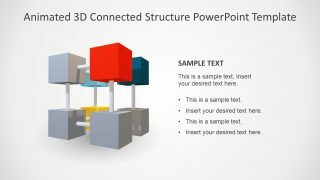 All PowerPoint shapes are easy to adapt and are 100% editable for the convenience of the presenter. Their size and position may be modified without affecting their image resolution. The exchange of products, services or any commerce transaction is done between businesses instead of the traditional business to individuals, is known as Business to Business. The presenter may use this PowerPoint template when explaining how to approach corporate board members to sell something. When multiple transactions are conducted between companies, usually the set up becomes complicated. The use of visual representations is vital in ensuring the easy grasp of difficult processes by the professional audience. 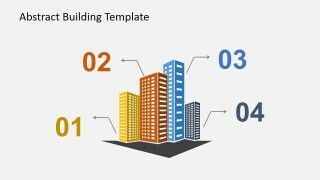 The Abstract Building PowerPoint Template is also applicable for presentations of corporate policies. The policy of the company is wide-ranging and must cover all guiding principles formed by higher management. Even strategies, decisions formulated by company officers, or evaluation of employees using scorecard must all be aligned to the corporate policy. 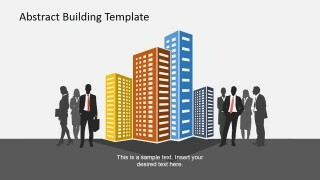 The PowerPoint shapes in the slides may be used for the topic of corporate strategies, as well. 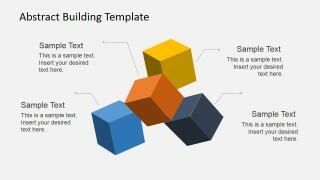 The presenter may describe how the organization goals need to be measured and aligned in order for the organization to achieve its strategic goals. 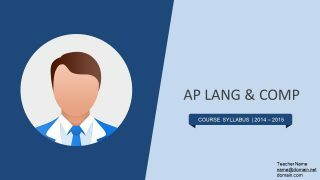 These topics are typically comprised of lengthy words and presentation to the audience may require creativity on the part of the presenter. 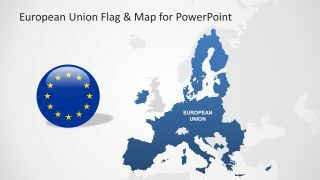 This will not be a problem when using this PowerPoint Template. 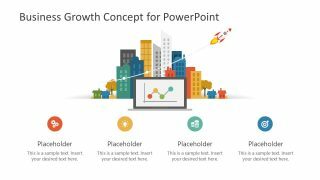 The vibrant colors and arrangement of the PowerPoint Shapes will help the audience absorb and retain the information quickly and easily. Plus, their attention will certainly be captivated by the colourful slides from beginning to end. 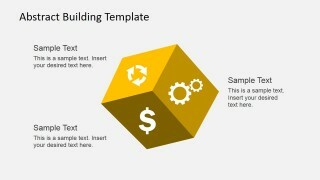 Make presentations of Business to Business or Corporate Policies more interesting using the Abstract Building PowerPoint Template.